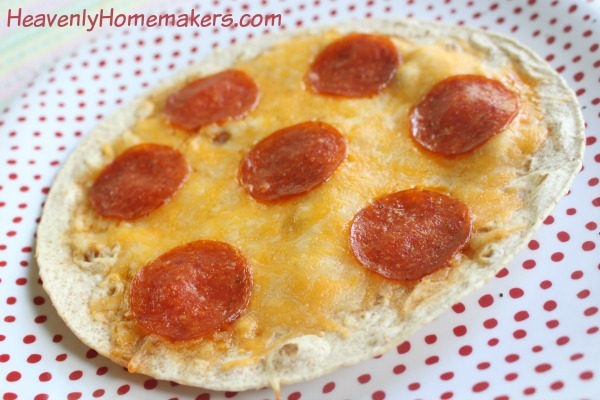 These Grilled Tortilla Pizzas are so simple and fast, you’ll hardly know what to do with yourself! I suggest letting each person build their own Tortilla Pizzas to their liking. Put them on the grill until the cheese is melted, which takes just a couple minutes. Just like that, your meal is ready! Grab the greens and other salad fixin’s out of the fridge (or out of the garden – even better!). Slice some fresh peaches or strawberries. Truly, your Simple Summer Supper doesn’t get any easier than this! 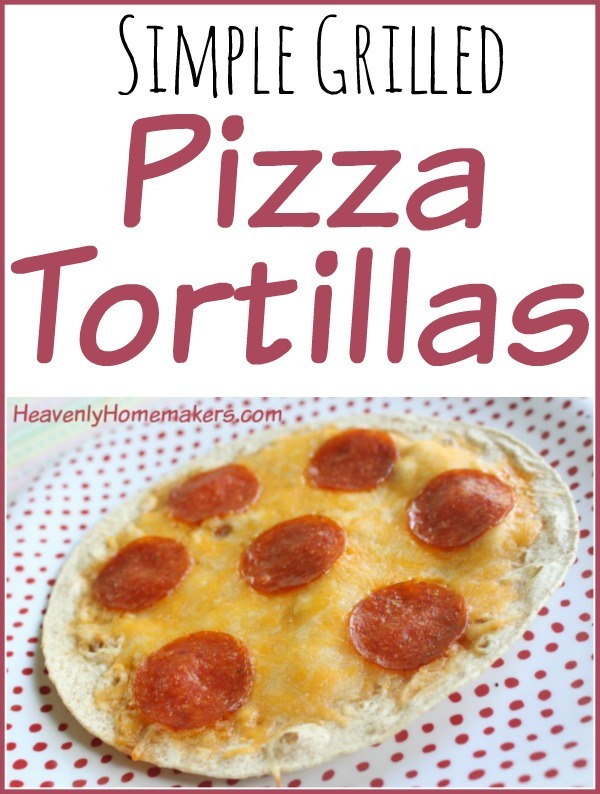 Top a tortilla with all your favorite pizza toppings. Grill on low heat for about 2 minutes or until cheese has melted. Serve with fresh fruits and veggies. You can use flour or corn tortillas (corn if you need to eat gluten free). You can add sauce or no sauce. Perhaps my only caution is that you don’t over-cheese your Grilled Pizza Tortillas; otherwise your cheese might overflow onto the grill grates and create a mess! Don’t miss any of our new ideas we’ve got coming! Subscribe for free so all the latest can come directly to your inbox! Let’s say you don’t have a grill. Would these work in a frying pan? Or a griddle? Absolutely! A frying pan or griddle will work perfectly and these will be done in just a couple minutes that way!